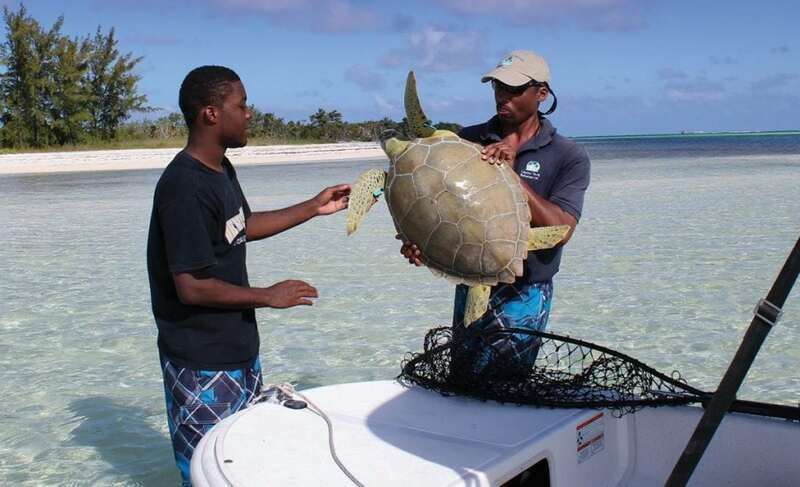 Jay Johnson and his son, C.J., of Lagoon Tours assist with sea turtle research in Pigeon Creek, San Salvador. 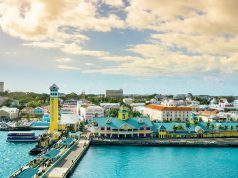 Hurricane season is upon us again, but summer and early fall are great times to cruise in The Bahamas as long as you have a good hurricane strategy. (Southern Boating readers know they need a hurricane strategy any time they’re in the hurricane zone no matter where they’re cruising.) If you look carefully at the charts and read the yachting guides you will discover that there are some excellent hurricane holes throughout the north and central islands. With good planning and a close eye on the weather forecasts you can keep yourself within reach of one of these harbors and ensure you’ll be securely moored in plenty of time. Make sure that space is available in your haven of choice and that your tanks are always topped off. The choices will depend on the size and draft of your vessel, where you want to cruise and whether you plan to stay on board during the storm. The southern islands have very few natural harbors. Fast powerboats can cruise these islands with greater safety because they can run back to Hawksnest or down to the Turks and Caicos in a few hours. If you are new in The Bahamas local knowledge is strongly advised. 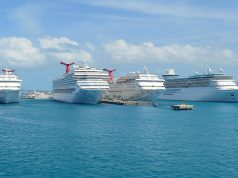 Inexperienced cruisers will quickly learn that Bahamians have a very healthy respect for hurricanes and are more than willing to help anyone on the water. Be sure that you have communications systems on board that will provide you with up-to-date hurricane warnings and tracking. The Miami Hurricane Center (nhc.noaa.gov) is available on the Internet, and Chris Parker’s Marine Weather Center is available by email or single side band (mwxc.com). Be extra careful to maintain your float plan with a reliable friend or relative. We also suggest daily communications with at least one other boat cruising in your area. San Salvador, the “Living Jewel” of The Bahamas, is a lovely destination with good facilities and some of the most abundant wildlife in the islands. Scuba divers swim with beautiful coral, reef fish, turtles, and sharks all along the southwestern shore. Birders find a variety of land and sea birds—Birds of San Salvador, Bahamas by R. Hays Cummins et al. is available from Kindle—and sport fishermen troll for pelagic fish on “The Hump” off the north end of the island. Bonefishermen work the flats in Pigeon Creek, and students and scientists are in residence at the Gerace Research Centre (geraceresearchcentre.com) year-round to study the island’s flora and fauna and geology. Historians still like to argue the evidence that the island was the place that Columbus first came ashore in the New World. Best of all, the people of San Salvador know how fortunate they are and have worked relentlessly to preserve the island’s environment. For the last 10 years citizens have worked with the Bahamas National Trust, BREEF, the Gerace Research Centre, the Nature Conservancy, and the Bahamian government to achieve permanent protection for important habitats on the island and in its coastal waters. At a ceremony in Cockburn on April 23rd the Deputy Prime Minister, Phillip “Brave” Davis, announced the establishment of five new national parks in San Salvador. The parks will be managed by the Bahamas National Trust. Most important to cruisers are the protected area on the west side, Graham’s Harbour and Pigeon Creek. 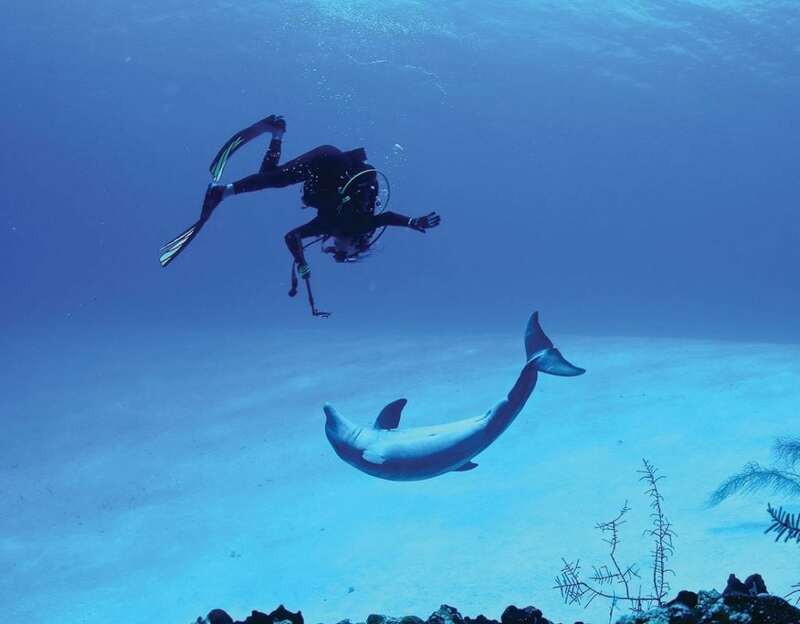 These parks are part of the growing number of no-take marine protected areas that will protect at least 20 percent of Bahamian near-coastal waters by 2020 as part of the Caribbean Challenge.